Pacific Bend Inc is a leading industrial pallet rack manufacturer. We also offer warehouse storage services. Our manufacturing facilities are located in sunny Southern California. Our goods and services are delivered throughout the nation. Our commitment is to provide customers with affordable warehouse solutions that optimize their inventory work flow and enhance their productivity. Years of experience have led us to build great business relationships. We know that our support and commitment are important. To provide you with the best service Pacific Bend Inc has developed the following strategy. Factory direct pricing will guarantee that you get the best deal. We realize that your business needs are ever changing. Our teams are here to help. Contact one of our “Rack Engineers”. Pallet racks are made of US steel material. To make pallet racks stronger a heavy gauge is used. A powder-coating process decreases wear and tear. We have worked with clients from many industries. That store commodities like plastic bottles to shoes, tires and more. This has helped us to build a knowledge base. We can help you overcome any obstacle or situation. Pacific Bend Inc has been in business for over 29 years. If you are in need of additional storage. One of our Rack Engineers can help you every step of the way. We do site surveys and planning. Using CAD software a blueprint for your design layout is generated. We also handle high-pile permit applications. Delivery and installation are the final steps. Our professional crews will ensure a safe and timely install. Our pallet racks are found all across the globe. In warehouses, distribution facilities, and retail outlets. Our indoor inventory is one of the largest. Because we manufacture our own pallet racks you are also guaranteed the best pricing. Pacific Bend Inc pallet racks are Made in the USA using only quality US steel. Our amazing team of engineers and machinists have found a way to improve the pallet rack design. Through their hard work and determination, a superior pallet rack has been made. The pallet racks we fabricate can withstand more weight and damage than regular pallet racks. 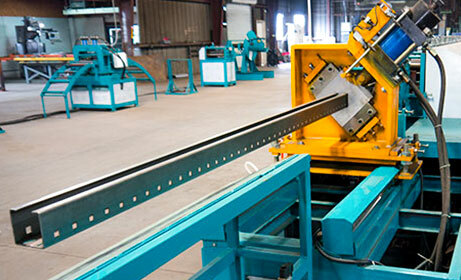 The machines we use to produce our pallet racks are custom built and designed to make the perfect rack. Adelanto – Anaheim – Apple Valley – Artesia – Azusa – Baldwin Park – Barstow – Brea – Buena Park – Burbank – Carson – Cerritos – Chino – City of Commerce – Claremont – Colton – Commerce – Compton – Covina – Culver City – Diamond Bar – Downey – El Monte – El Segundo – Fontana – Fountain Valley – Fullerton– Gardena – Glendale – Glendora – Hawaiian Gardens – Hawthorne – Hesperia – Highland – Huntington Park – Industry – Inglewood – Irvine – Irwindale – Long Beach – Loma Linda – Los Alamitos – Los Angeles – Maywood – Montclair – Montebello – Monterey Park – Moreno Valley – Norwalk – Ontario – Orange – Paramount – Pasadena – Pico Rivera – Placentia – Pomona – Rancho Cucamonga – Redlands – Rialto – Riverside – Rosemead – San Bernardino – San Dimas – San Fernando – San Gabriel – Santa Ana – Santa Fe Springs – Torrance – Tustin – Upland – Van Nuys – Victorville – Vernon – Walnut – West Covina – Whittier – Yorba Linda – Yucaipa and more!